Who is agent P ? Who is Agent P Rebel of Punkanism! International Commissioned Artist! 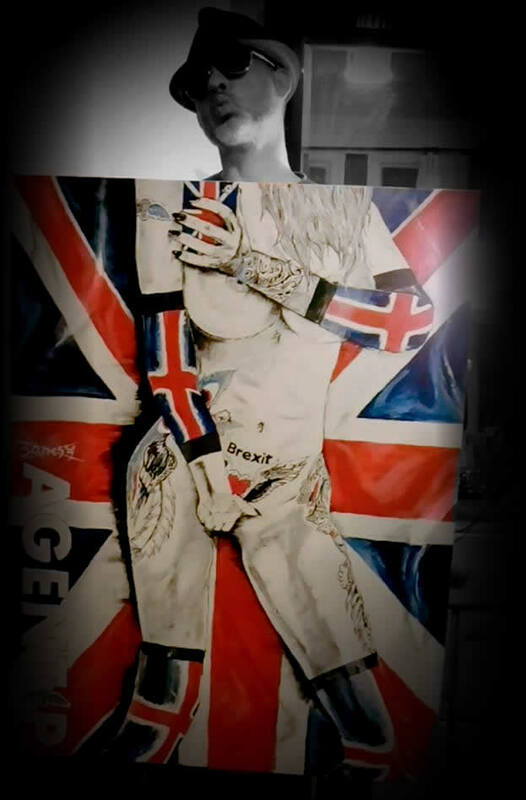 Union Jack Painter, the creator of Punkanism. Agent P as a artists focus on a combination art and music styles, Agent P is a realism artist with a stylized and abstract flare of Impressionism. All commissioned paintings are in red, white and blue with the dominant style of the union jack flowing through all the work. Agent P uses perspective to create an illusion of space and depth, setting the composition and lighting such that the subject appears with the edge of their inner punkanism character. Vice Girl! Born out of British beliefs from suppression! International Commissioned Musician Music Vocals harmony reaches deep soulful expressions, swinging with feelings of values and morals in a troubled world that Banksy captures with your eyes where Agent P Political Activist grabs your ears. He tops it all off with keyboard samples — all skilfully blended into a seamless flow of real life. One fan "Donna" said the unplug single somebody “Its music from the heart that only inspired me to write a book and call it somebody” Agent P acclaimed, his Music inspired a book ! Music Albums - Dream of you, Political Machine and We all need Heroes Sold on all digital platforms! Who is Agent P A search by Police in 2013! Who is Agent P Agent P is unidentified by UK Police and is just born out of belief!